I’ve spent my entire adult life either making new plans or working to bring existing plans to fruition. Everything from creating business plans at work to helping my wife plan our annual family vacation,planning is something I’ve always been involved in.Depending on who you ask,I’ve been more successful in some areas than others and I’m sure you can all relate to that. Yet when it comes to serving God,our best laid plans are often reduced to shreds.All of our planning,strategies,and hard work can be brought to naught when we feel the Lord leading us in a new direction.If you’ve ever been in this place then you know that when you feel the Holy Spirit begin to tug at you to go a different direction, it can be a very hard thing to do.After all, whoever said that obedience is easy? Abraham was a man who came to a place where he had to make a decision about which way to go with his life. Read with me the Genesis account of this story(emphasis mine). 1 Then Abram went up from Egypt, he and his wife and all that he had, and Lot with him, to the South. 2 Abram was very rich in livestock, in silver, and in gold. 4 to the place of the altar which he had made there at first. And there Abram called on the name of the Lord. 5 Lot also, who went with Abram, had flocks and herds and tents. 6 Now the land was not able to support them, that they might dwell together, for their possessions were so great that they could not dwell together. 7 And there was strife between the herdsmen of Abram’s livestock and the herdsmen of Lot’s livestock. The Canaanites and the Perizzites then dwelt in the land. 8 So Abram said to Lot, “Please let there be no strife between you and me, and between my herdsmen and your herdsmen; for we are brethren. 10 And Lot lifted his eyes and saw all the plain of Jordan, that it was well watered everywhere (before the Lord destroyed Sodom and Gomorrah) like the garden of the Lord, like the land of Egypt as you go toward Zoar. 11 Then Lot chose for himself all the plain of Jordan, and Lot journeyed east. And they separated from each other. 12 Abram dwelt in the land of Canaan, and Lot dwelt in the cities of the plain and pitched his tent even as far as Sodom. 13 But the men of Sodom were exceedingly wicked and sinful against the Lord. 15 for all the land which you see I give to you and your descendants forever. 16 And I will make your descendants as the dust of the earth; so that if a man could number the dust of the earth, then your descendants also could be numbered. 18 Then Abram moved his tent, and went and dwelt by the terebinth trees of Mamre, which are in Hebron, and built an altar there to the Lord. Abraham gave Lot the 1st choice of the land before them, and like most of us Lot chose the best of the best. Who could fault him for that? Again, wouldn’t we do the same? Yet God had another plan for His servant Abraham.While Lot was busy with moving toward the green grass and wells of water in Jordan,it would be easy to say that Abraham got the short end of the stick. But God had something much better than wells and fields in store for Abraham.Instead of real estate,He gave Abraham a covenant, or a promise.A promise that his seed would be as the dust of the earth for multitude.A promise of blessing. Sometimes God’s plan calls for there to be a separation,or parting of the ways.We can trust Him to have our bests interests at heart if we will choose to follow His plans and not ours.Leaving our comfort zone is never easy but leave we must if we are to continue to grow in Him. I find myself in this exact same position at this time in my life.The Lord has uprooted our family and we have begun a new journey,a journey that we are taking by faith for we do not know what is beyond the next bend in the road.All we know is that we feel His call to step out and obey.A journey that is both frightening and exciting at the same time.I pray that this is not a selfish request, but we desire your prayers. As Easter is fast approaching, I find myself being drawn more and more to the Cross of Calvary. 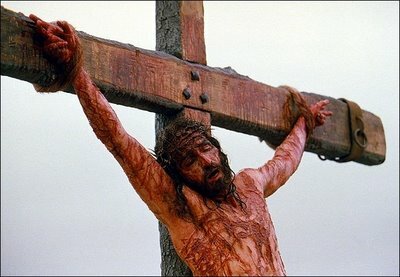 To me, nothing is as precious or more sacred then the Cross that Jesus suffered and died upon. It’s because of this cruel instrument of death that I am free from the chains that once held me bound. I find it interesting that what some consider nothing more than a piece of interesting jewelry to wear around the neck can also be a symbol of hatred and disgust to others. Indeed, I can think of no other image that stirs the emotions of mankind more than the Cross of Christ. Scripture presents a picture of the Cross described in many different ways. The Apostle Paul referenced the Cross by associating it with the words Offense, Foolishness, Obedience, Shame, Reconciliation, and a host of others. However you picture it or describe it one thing is clear: without it you and I would be forever lost with no hope. Jesus is my Redeemer, my Savior, my very present help in the time of trouble. He paid the debt that I could never pay,and for that I worship Him with all that is within me.